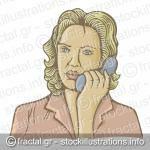 Old fashion illustration of woman speaking on phone. 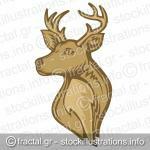 Deer head illustration with brown tones isolated on white background. 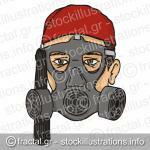 Greek evzone head with red fez and tassel wearing a gas mask. Traced and colored pencil illustration of an old man on beige background. 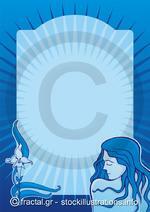 Young spa girl with iris flower on blue vertical background. Young girl with iris flower on blue horizontal background. 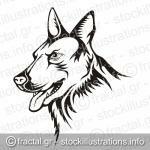 Tattoo illustration of german shepherd guard dog. Profile of a young man on red background. 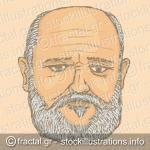 Lineart profile of mature man on green background. Young woman head with long hair on dark red background.